On Friday, brutal Communist Cuban dictator Fidel Castro died. His long-awaited death was celebrated in the streets of Miami. Stein’s praise of Castro seems rather odd given the failed candidate’s statements about her efforts to “ensure the integrity of our elections” by trying to hold recounts in Michigan, Pennsylvania and Wisconsin. Elections, under the Castro regime, were anything but integrity-filled events. He failed to hold the free elections he had promised the Cuban people. He put to death hundreds of his former political enemies in hasty trials intended more as propaganda than as judicial proceedings. Then he proceeded to fill Cuba’s jails once more with political critics, including many of Castro’s former comrades, anti-communist labor leaders, and other veteran opponents of the Batista regime. The press was placed under strict censorship. Foreign-owned property was expropriated arbitrarily without fair compensation, and in many cases without any compensation at all. Only the communists emerged unscathed from Castro’s repressive and vindictive actions. 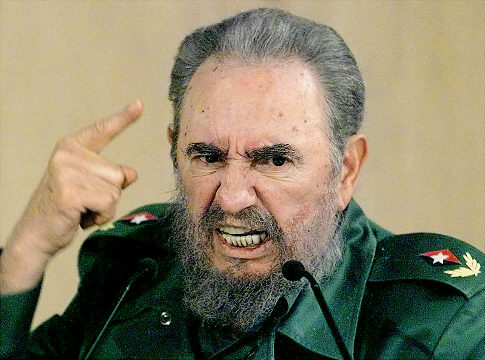 To make matters worse, for Stein to call Castro “a symbol of the struggle for justice in the shadow of empire” completely obfuscates his brutality during his 50-year reign of making the once-prospering nation into a veritable impoverished island prison. During Castro’s rule, thousands of Cubans were incarcerated in abysmal prisons, thousands more were harassed and intimidated, and entire generations were denied basic political freedoms. There are many more examples of Castro’s brutal Communist dictatorship. According to the Cuba Archive project, there are nearly 11,000 more examples. For Jill Stein to call Castro “a symbol of the struggle for justice” is an injustice to all those murdered by Castro and his Communist regime.